YouTube's baneful, unskippable half-minute advertisements are due to become a thing of the past. The Google-owned video service revealed today that it will stop supporting 30-second unskippable ads starting next year - issuing a sigh of relief from viewers all over who are tired of sitting through the same Geico insurance spot ad nauseam. 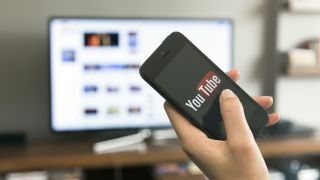 The move was made in an effort to create a better ad experience, with the service focusing instead "on formats that work well for both users and advertisers," a YouTube spokesperson said in a statement sent to TechRadar. This isn't the first time in recent memory that YouTube has shaken up its ad format. Last April, the video purveyor announced quick-but-unskippable six-second bumper ads for mobile platforms. Though a win for those sick of waiting on ads to finish before enjoying the content they came to watch, it's also possible that 20-second commercials may become the new unskippable norm, notes Campaign, which first broke the news on YouTube’s move. Those who really wish to be rid of ads can opt for a premium YouTube Red subscription, which cuts out pre-roll ads entirely, and also grants access to exclusive shows, offline viewing, and background play on mobile devices. However, YouTube Red isn't a magic bullet for all users, as the $10/AU$12-per-month service is only available in the US, Mexico, Australia, South Korea and New Zealand.